Missionary work is normally something that is associated with young men in white shirts with black name tags knocking on doors. 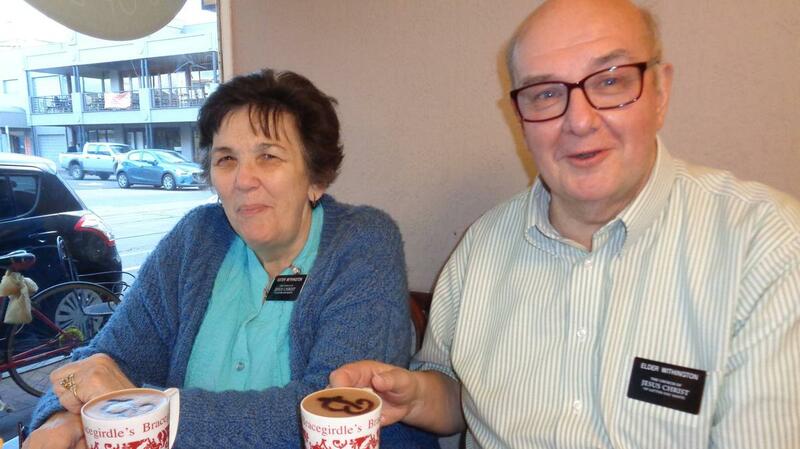 But, retired Rugby, Warwickshire residents Keith and Christine Withington, have taken the brave step of volunteering to serve a full time mission for the Church of Jesus Christ of Latter-day Saints in the Adelaide area of Australia. Whilst they will be able to Skype with family members from time to time, they will not see them in person for 18 months, until they return home. For many years now, older retired couples have been encouraged by the Church to serve missions, like their young counterparts, and there are currently nearly 7000 mature missionaries serving around the world in many capacities. When missionaries apply, they can express a preference about what type of mission they would like to serve, but all are prepared to go and do whatever the Church asks them to do.